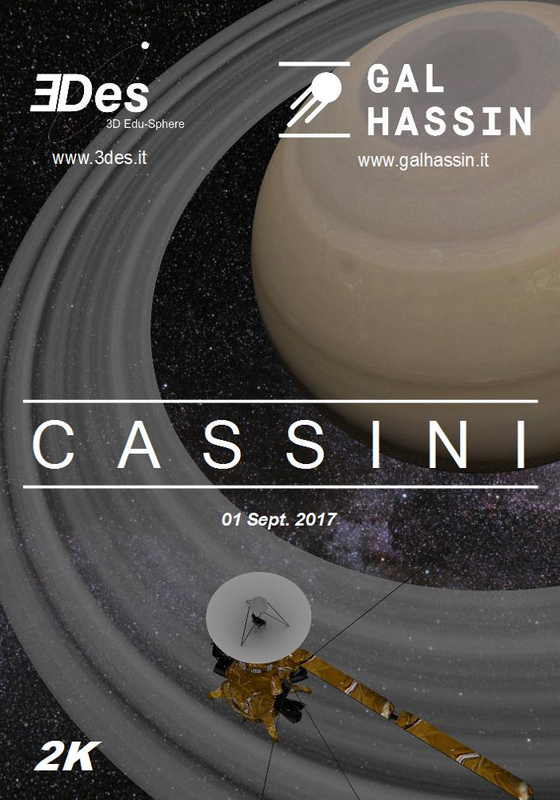 The new fulldome film on the Cassini probe and his epic journey to the discovery of Saturn. Ideal for animating an evening of scientific divulging at the “Grand Finale” on September 15, 2017. In addition to the Cassini mission, the film illustrates the main physical characteristics of the “Lord of the rings”. The film was born from a collaboration between Astronomical Park GAL HASSIN (www.galhassin.it) and 3DES. The movie is available with a small fee (55$) for production costs. See below for Paypal. It’s totaly free for all 3DES small planetarium community (for info please email us). Please send also the company data for the invoice. Email us for a BANK TRANSFERT.